Bixby Voice, for those a part of the early access program, is receiving an update today that introduces a new “Open Q&A” feature. As the name of the feature suggests, this is Samsung taking on Google in a way, by offering up a way for you to ask Bixby for answers to general or specific questions. 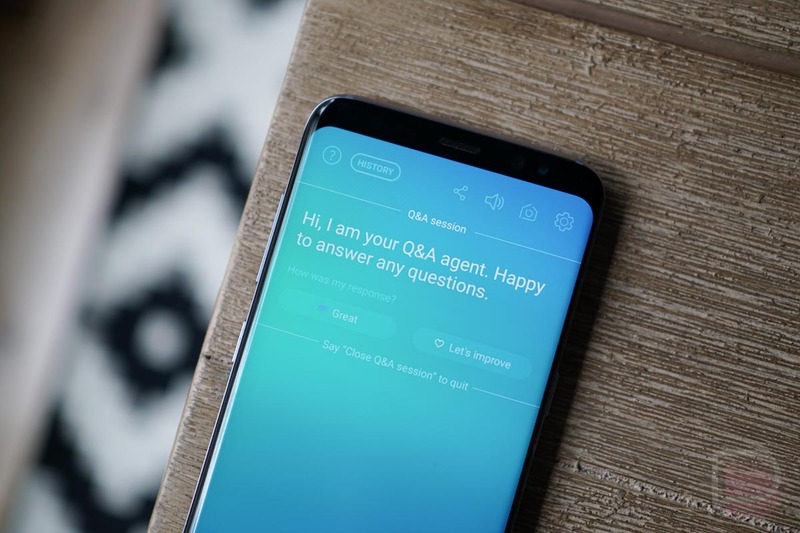 Samsung is selling this new Open Q&A feature as a way to ask Bixby “general questions about people, places or things.” All you have to do is ask Bixby to “Open Q&A session” and then you can start to ask it for information. In testing, I think you can also just ask Bixby questions now without the need to “Open Q&A,” but the Q&A thing makes it more official or something. Wait, could you not do this before? Like, just get typical answers to things like, “How old is Lebron James?” If not, glad it’s here now! If you are a part of the Bixby early access, head into Bixby and you should receive an update from there. Also, jump into the top-right menu of Bixby to see the notices that talk about the new Q&A feature.